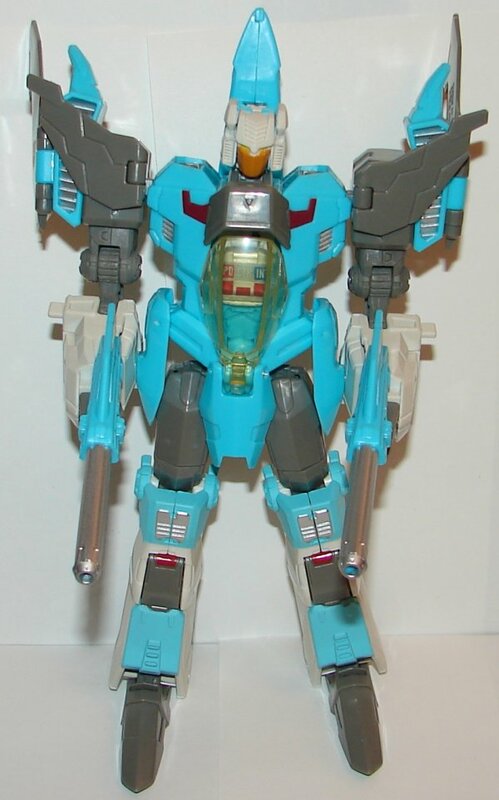 You knew that Hasbro couldn’t do a real Headmaster without screwing it up, right? Arcana should be the name of his Headmaster partner, but he is only noted as “Pilot” on the box, he’s not give his own name, and “Headmaster” does not appear anywhere on the box. Nice try Hasbro, but as usual you screwed up the easy details. I realize that some will point out that the Third Party toys don’t use the actual names, but this should not be an issue for Hasbro. They MUST be held to a higher standard. 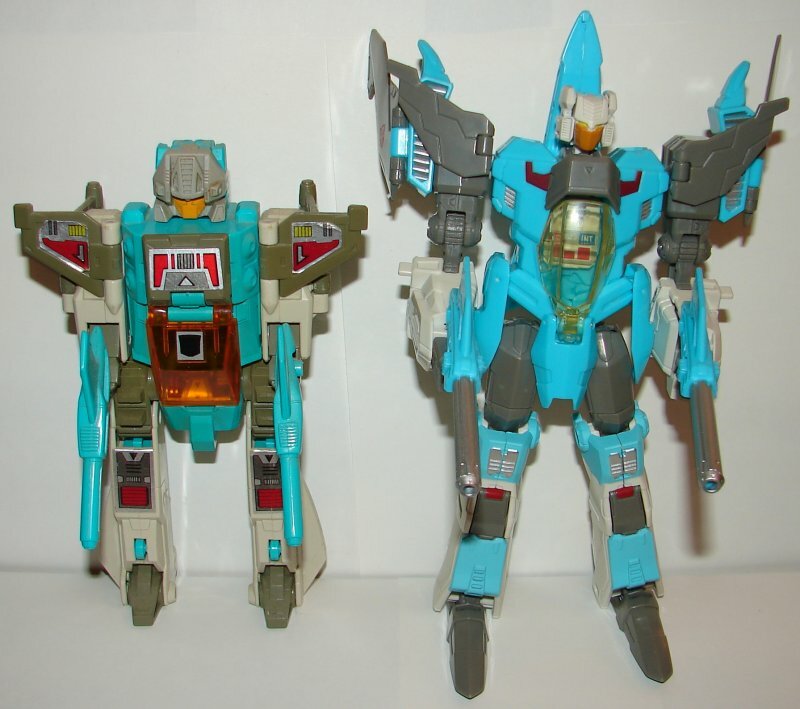 All pics show the G1 Brainstorm as a comparison (G1 is on the lefl and the Generations version is on the right, obviously). Headmaster: Frankly, the G1 headmaster looks better. He actually has arms. The new version has arms molded to the inside of the sides of the robot head. Frankly, this is a step backwards from the original, though probably he’s better than the later smaller Headmasters. He’s also smaller on a larger toy. It’s not awful, as the original was probably a hair too big, but this goes too far in the opposite direction. 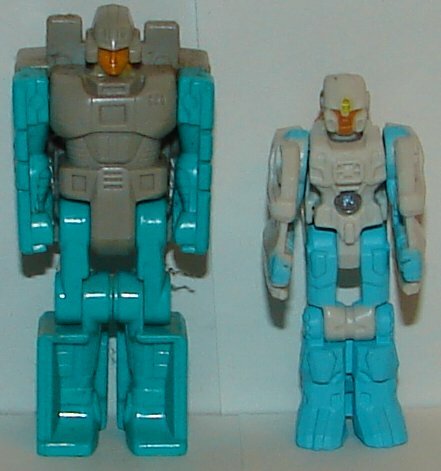 Vehicle Mode: I had to find a picture of G1 Brainstorm in vehicle mode online, as my Brainstorm has such tight hip joints, I’m afraid I’ll break it if I try to transform him. I kind of miss the days when I wasn’t afraid to actually play with toys, but I digress. 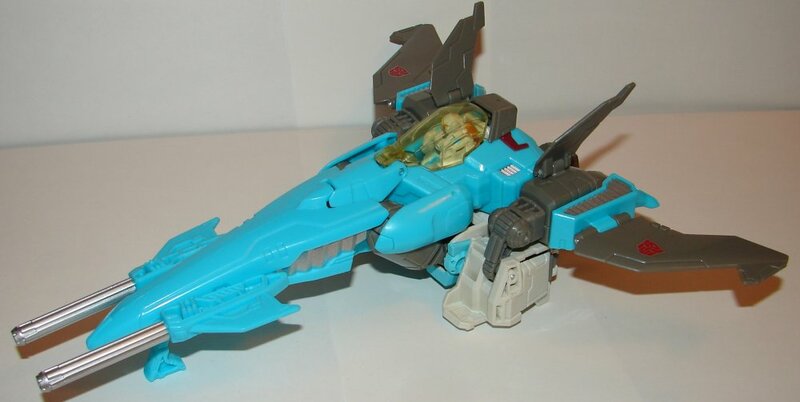 I do love the new jet mode, clearly inspired by the original more than a lot of homage toys are. I love the painted silver barrels on the guns. That’s a small thing, but makes a huge difference. Robot Mode: He looks great in robot mode, accept that he needed a few paint apps on the inside of his vertical stabilizers to show on his shoulders, and his head seems a tad small. He’s pretty well proportioned and stands up pretty well. They put his headmaster data readings in his chest. I didn’t notice that until I was done taking pictures of his robot mode. That flips up to form the pilot’s seat, so you can hide that it robot mode like the G1. 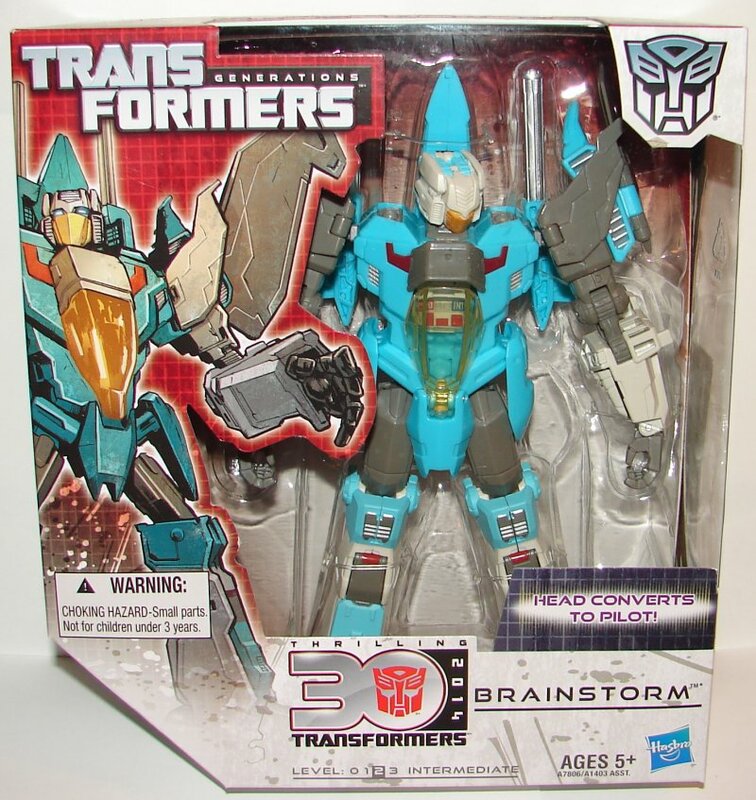 Overall: They did a nice job on Brainstorm, if they hadn’t screwed up the simple details it would be an awesome toy. As is, it’s pretty great, but Hasbro needs to take a couple more steps if they want to truly compete with Third Party companies. This entry was posted in Toy Reviews, Toys, Transformers and tagged Arcana, Brainstorm, Generations, Headmaster, Nebulon, Toys, Transformers. Bookmark the permalink. 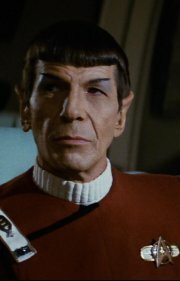 michaelwpollard, I finally tracked down a Brainstorm with the fixed head. I had almost forgotten about it, but Target had a few and it was the altered version. Dave Van Domelen also pointed out that he can do a gerwalk mode. But he can also do a Sixshot-like Targetmaster for somebody huge. Maybe it’s time for a new Fort Max who can use Brainstorm as a Targetmaster? Please, Toys R Us – don’t make a Fort Max as hard to get as Metroplex, never received in my local store and always out of stock online, with some awesome sale prices sitting there laughing at me. The first round of these had the head a bit wider than the socket; not-Arcana’s neck tends to break when removed. They fixed this in a later batch. If you get one of the first set (which are more common), you can get (usually) the head off without breaking by carefully wiggling it side-to-side (while holding the release lever) to work it out. (I’ve heard of others prying it out with a toothpick.) Dave Van Domelen (http://www.eyrie.org/~dvandom/BW/Gen/VBrainstorm) then shaved down the sides of the head; I shaved a bit off the sides of the socket, to the same effect but less visible, so that the head doesn’t fit quite so tightly.